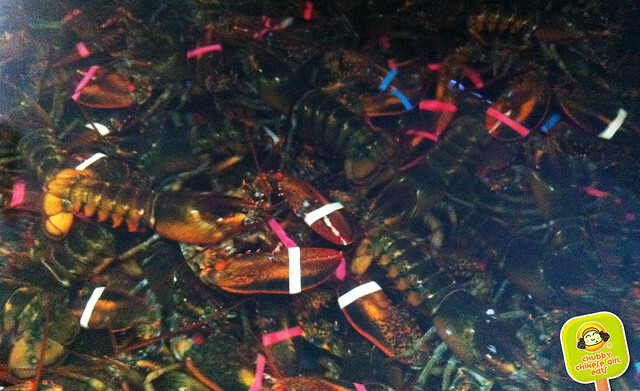 Live lobsters steamed to order. It’s summer eatin’ every season here, where the tables are wooden, the bibs are hanging and getting your hands dirty is a must. 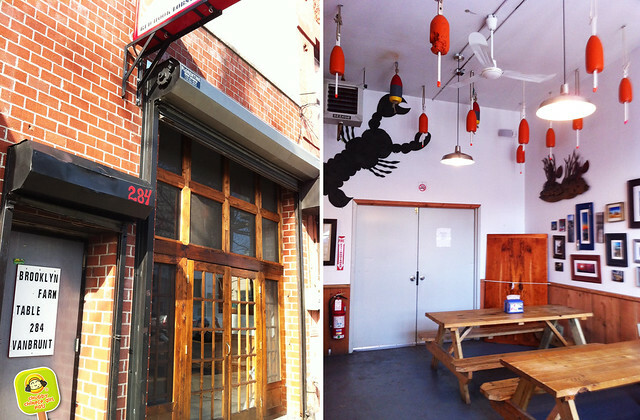 I chase their trucks to satisfy my Lobster Roll (my favorite one in NYC) cravings, don’t get me wrong, BUT since I made it all the way to Red Hook, Brooklyn, I’m having the Fresh Steamed Lobster 1.5 lbs Dinner for $25. 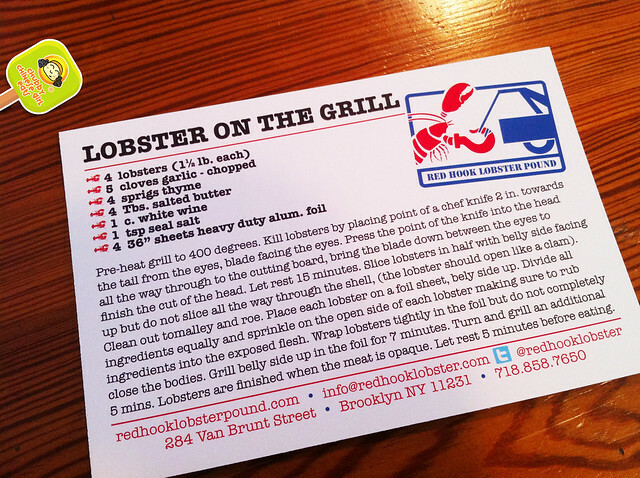 Live and fresh, the way any seafood should be eaten! The picnic style tables are next door. 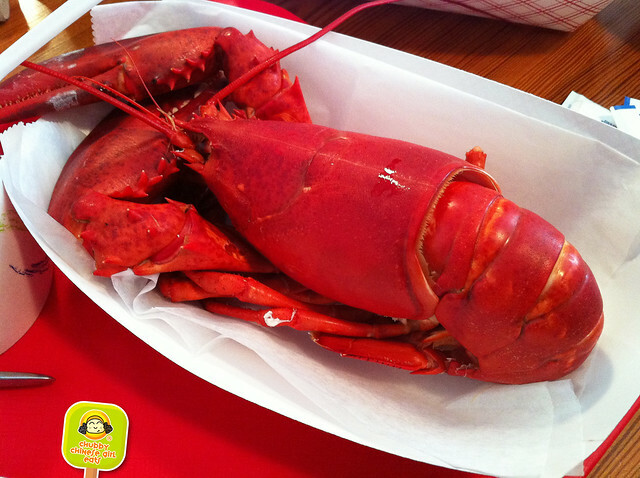 Ample room to roll up the sleeves and get all that succulent goodness, from head to claw. Sweet corn, tangy slaw and a mayo covered potato salad. Yum! Sweet and meaty. The slight bounce and chew is a stamp of its freshness. 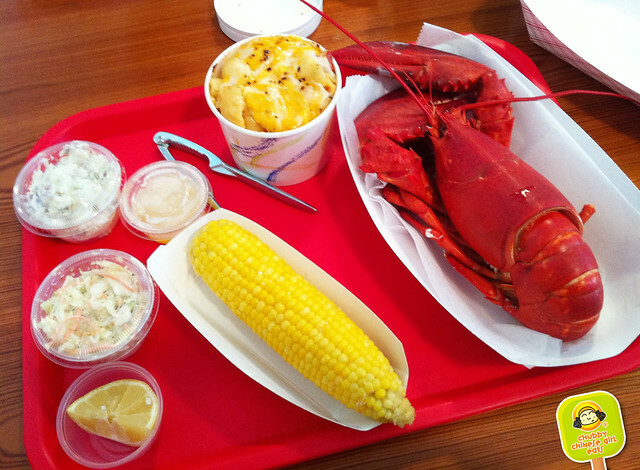 One dip in that butter and I was transported to Maine. 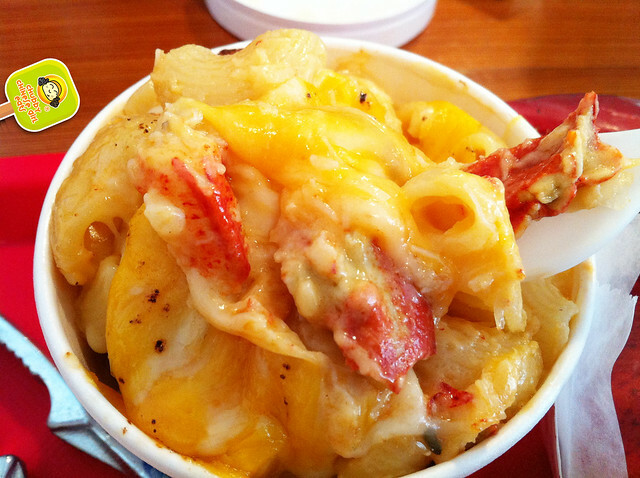 Their Lobster mac and cheese is also not to be missed. Al dente pasta, cheesy, gooey and loaded with lobster chunks. The New England Clam Chowder has tons of clams. Rich and creamy. Mmm mmm good. If you really can’t look at your food in the eye like my friend B, the Lobster Roll is of course your way to go, but I’d say don’t be a wimp! You can do it! 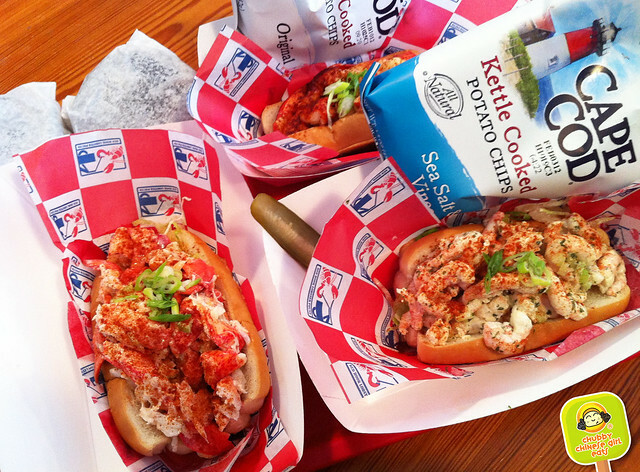 Between the shrimp and lobster roll, lobster wins hand down! 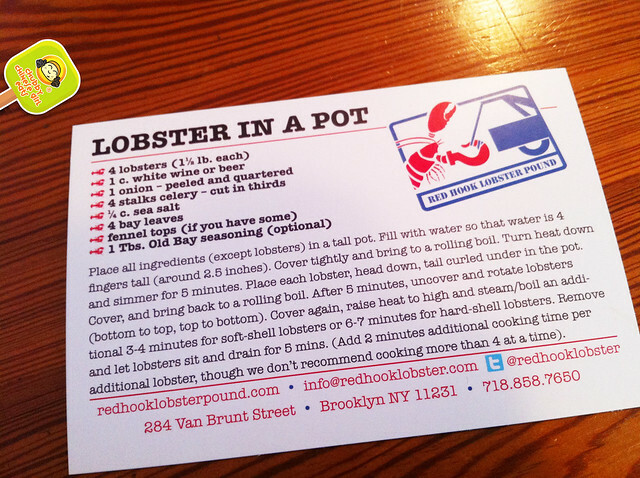 Whether you’re driving or taking PT (I’ve done both and the bus actually stops almost in front of the store), Red Hook Lobster really isn’t that far away, surely closer than a trip to Maine. And if you still have room for dessert, Brooklyn Farmacy and Soda Fountain is sorta close by.